"Medical Officer" redirects here. For the title used in India, see Medical Officer (AYUSH). For the senior government official of a health department, see Medical Officer for Health. A physician, medical practitioner, medical doctor, or simply doctor, is a professional who practises medicine, which is concerned with promoting, maintaining, or restoring health through the study, diagnosis, prognosis and treatment of disease, injury, and other physical and mental impairments. Physicians may focus their practice on certain disease categories, types of patients, and methods of treatment—known as specialities—or they may assume responsibility for the provision of continuing and comprehensive medical care to individuals, families, and communities—known as general practice. Medical practice properly requires both a detailed knowledge of the academic disciplines, such as anatomy and physiology, underlying diseases and their treatment—the science of medicine—and also a decent competence in its applied practice—the art or craft of medicine. Medical ethics is a system of moral principles that apply values to the practice of clinical medicine and in scientific research. Medical ethics is based on a set of values that professionals can refer to in the case of any confusion or conflict. These values include the respect for autonomy, non-maleficence, beneficence, and justice. Such tenets may allow doctors, care providers, and families to create a treatment plan and work towards the same common goal. It is important to note that these four values are not ranked in order of importance or relevance and that they all encompass values pertaining to medical ethics. However, a conflict may arise leading to the need for hierarchy in an ethical system, such that some moral obligations overrule others with the purpose of applying the best moral judgement to a difficult medical situation. A patient is any recipient of health care services. The patient is most often ill or injured and in need of treatment by a physician, nurse, psychologist, dentist, veterinarian, or other health care provider. The Italian Francesco Redi, considered to be the founder of experimental biology, was the first to recognize and correctly describe details of many important parasites. 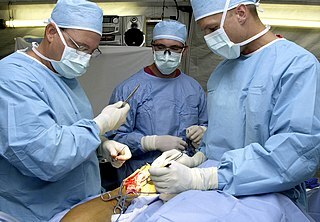 In modern medicine, a surgeon is a physician who performs surgical operations. There are also surgeons in podiatry, dentistry maxillofacial surgeon and the veterinary fields. Henry VIII granted a charter to the London Royal College of Physicians in 1518. It was not until 1540 that he granted the Company of Barber-Surgeons (ancestor of the Royal College of Surgeons) its separate charter. In the same year, the English monarch established the Regius Professorship of Physic at the University of Cambridge. Newer universities would probably describe such an academic as a professor of internal medicine. Hence, in the 16th century, physic meant roughly what internal medicine does now. Henry VIII was King of England from 1509 until his death in 1547. Henry was the second Tudor monarch, succeeding his father, Henry VII. Henry is best known for his six marriages, in particular his efforts to have his first marriage, to Catherine of Aragon, annulled. His disagreement with the Pope on the question of such an annulment led Henry to initiate the English Reformation, separating the Church of England from papal authority. He appointed himself the Supreme Head of the Church of England and dissolved convents and monasteries, for which he was excommunicated. Henry is also known as "the father of the Royal Navy"; he invested heavily in the Navy, increasing its size greatly from a few to more than 50 ships. The Royal College of Physicians is a British professional body dedicated to improving the practice of medicine, chiefly through the accreditation of physicians by examination. Founded in 1518, it set the first international standard in the classification of diseases, and its library contains medical texts of great historical interest. Currently, a specialist physician in the United States may be described as an internist. Another term, hospitalist , was introduced in 1996,  to describe US specialists in internal medicine who work largely or exclusively in hospitals. Such 'hospitalists' now make up about 19% of all US general internists,  who are often called general physicians in Commonwealth countries. This original use, as distinct from surgeon, is common in most of the world including the United Kingdom and other Commonwealth countries (such as Australia, Bangladesh, India, New Zealand, Pakistan, South Africa, Sri Lanka, Zimbabwe), as well as in places as diverse as Brazil, Hong Kong, Indonesia, Japan, Ireland, and Taiwan. In such places, the more general English terms doctor or medical practitioner are prevalent, describing any practitioner of medicine (whom an American would likely call a physician, in the broad sense). 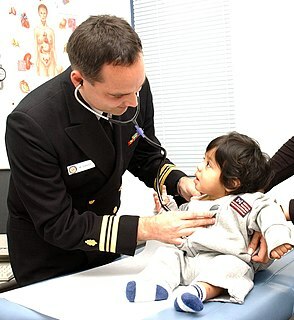 In Commonwealth countries, specialist pediatricians and geriatricians are also described as specialist physicians who have sub-specialized by age of patient rather than by organ system. Around the world, the combined term "physician and surgeon" is used to describe either a general practitioner or any medical practitioner irrespective of specialty. This usage still shows the original meaning of physician and preserves the old difference between a physician, as a practitioner of physic, and a surgeon. The term may be used by state medical boards in the United States of America, and by equivalent bodies in provinces of Canada, to describe any medical practitioner. 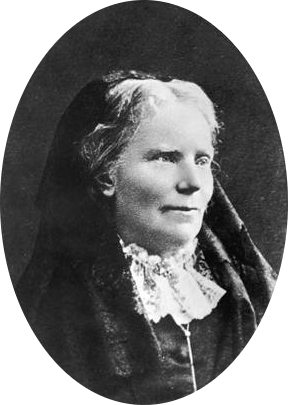 Elizabeth Blackwell, the first female physician to receive a medical degree in the United States. The vast majority of physicians trained in the United States have a Doctor of Medicine degree, and use the initials M.D. A smaller number attend Osteopathic schools and have a Doctor of Osteopathic Medicine degree and use the initials D.O. After completion of medical school, physicians complete a residency in the specialty in which they will practice. Subspecialties require the completion of a fellowship after residency. Also in the United States, the American Podiatric Medical Association (APMA) defines podiatrists as physicians and surgeons that fall under the department of surgery in hospitals. They undergo training with the Doctor of Podiatric Medicine (DPM) degree. This degree is also available at one Canadian university, namely the Université du Québec à Trois-Rivières. Students are typically required to complete an internship in New York prior to the obtention of their professional degree. While contemporary biomedicine has distanced itself from its ancient roots in religion and magic, many forms of traditional medicine  and alternative medicine continue to espouse vitalism in various guises: 'As long as life had its own secret properties, it was possible to have sciences and medicines based on those properties' (Grossinger 1980). The US National Center for Complementary and Alternative Medicine (NCCAM) classifies CAM therapies into five categories or domains, including:  alternative medical systems, or complete systems of therapy and practice; mind-body interventions, or techniques designed to facilitate the mind's effect on bodily functions and symptoms; biologically based systems including herbalism; and manipulative and body-based methods such as chiropractic and massage therapy. Ayurveda, Unani medicine and homeopathy are popular types of alternative medicine. They are included in national system of medicines in countries such as India. In general, the practitioners of these medicine in these countries are referred to as Vaidya, Hakim and homeopathic doctor/homeopath/homeopathic physician, respectively. Many disease have their root cause in mind related issues, and most physicians (and psychologists) following the Western system do not completely understand the functioning of the mind. Such physicians (who follow the Western system of science) also root out the role of ghosts and spirits as the cause of mind-oriented diseases. In the large English-speaking federations (United States, Canada, Australia), the licensing or registration of medical practitioners is done at a state or provincial level or nationally as in New Zealand. Australian states usually have a "Medical Board," which has now been replaced by the Australian Health Practitioner Regulatory Authority (AHPRA) in most states, while Canadian provinces usually have a "College of Physicians and Surgeons." All American states have an agency that is usually called the "Medical Board", although there are alternate names such as "Board of Medicine," "Board of Medical Examiners", "Board of Medical Licensure", "Board of Healing Arts" or some other variation. After graduating from a first-professional school, physicians who wish to practice in the U.S. usually take standardized exams, such as the USMLE for MDs). Nurse practitioners (NPs) in the United States are advanced practice registered nurses holding a post-graduate degree such as a Doctor of Nursing Practice. In Canada, nurse practitioners typically have a Master of nursing degree as well as substantial experience they have accumulated throughout the years. Nurse practitioners are not physicians but may practice alongside physicians in a variety of fields. Nurse practitioners are educated in nursing theory and nursing practice. The scope of practice for a nurse practitioner in the United States is defined by regulatory boards of nursing, as opposed to boards of medicine that regulate physicians. Emergency medicine, also known as accident and emergency medicine, is the medical specialty concerned with the care of illnesses or injuries requiring immediate medical attention. Emergency physicians care for unscheduled and undifferentiated patients of all ages. As first-line providers, their primary responsibility is to initiate resuscitation and stabilization and to start investigations and interventions to diagnose and treat illnesses in the acute phase. Emergency physicians generally practice in hospital emergency departments, pre-hospital settings via emergency medical services, and intensive care units, but may also work in primary care settings such as urgent care clinics. Sub-specializations of emergency medicine include disaster medicine, medical toxicology, ultrasonography, critical care medicine, hyperbaric medicine, sports medicine, palliative care, or aerospace medicine. A podiatrist, also known as a podiatric physician or foot and ankle surgeon, is a medical professional devoted to the study and medical/surgical treatment of disorders of the foot, ankle and lower extremity. The term originated in North America, but has now become the accepted term in the English-speaking world for all practitioners of podiatric medicine. Podiatry or podiatric medicine is a branch of medicine devoted to the study, diagnosis, and medical and surgical treatment of disorders of the foot, ankle and lower extremity. The term podiatry came into use in the early 20th century in the United States and is now used worldwide, including countries such as the United Kingdom, Australia and Canada. Hospital medicine in the United States is the medical specialty concerned with the care of acutely ill hospitalized patients. Physicians whose primary professional focus is caring for hospitalized patients only while they are in the hospital are called hospitalists. This type of medical practice has extended beyond the United States into Australia and Canada. The vast majority of physicians who refer to themselves as hospitalists focus their practice upon hospitalized patients but do not necessarily have board certification in hospital medicine. The American College of Physicians (ACP) is a national organization of internists, who specialize in the diagnosis, treatment, and care of adults. With 154,000 members, ACP is the largest medical-specialty organization and second-largest physician group in the United States, after the American Medical Association. Its flagship journal, the Annals of Internal Medicine, is considered one of the five top medical journals in the United States and Britain. Family medicine (FM), formerly family practice (FP), is a medical specialty devoted to comprehensive health care for people of all ages; the specialist is named a family physician or family doctor. In Europe the discipline is often referred to as general practice and a practitioner as a general practice doctor or GP; this name emphasises the holistic nature of this speciality, as well as its roots in the family. Family practice is a division of primary care that provides continuing and comprehensive health care for the individual and family across all ages, genders, diseases, and parts of the body; family physicians are often primary care physicians. It is based on knowledge of the patient in the context of the family and the community, emphasizing disease prevention and health promotion. According to the World Organization of Family Doctors (WONCA), the aim of family medicine is to provide personal, comprehensive, and continuing care for the individual in the context of the family and the community. The issues of values underlying this practice are usually known as primary care ethics. A primary care physician (PCP) is a physician who provides both the first contact for a person with an undiagnosed health concern as well as continuing care of varied medical conditions, not limited by cause, organ system, or diagnosis. The term is primarily used in the United States. In the past in the US and still in the United Kingdom, the equivalent term was/is general practitioner. A nurse practitioner (NP) is an advanced practice registered nurse (APRN) classified as a mid-level practitioner. A nurse practitioner is trained to assess patient needs, order and interpret diagnostic and laboratory tests, diagnose illness and disease, prescribe medication and formulate treatment plans. NP training covers basic disease prevention, coordination of care, and health promotion, but does not provide the depth of expertise needed to recognize more complex cases in which multiple symptoms suggest more serious conditions. According to the American Association of Nurse Practitioners, a nurse practitioner is educated at the masters or doctoral level to provide "primary, acute, chronic, and specialty care to patients of all ages and all walks of life". The scope of practice for a nurse practitioner is defined by jurisdiction. Depending on jurisdiction, nurse practitioners may or may not be required to practice under the supervision of a physician. In United States, nurse practitioners have been lobbying for independent practice.. The opponents of independent practice have argued that nurse practitioner education is "flimsy," because it can consist of online coursework with few hours of actual patient contact. The number of patient contact hours in nurse practitioner training is less than or equal to 3% of physician training. Increased utilization of nurse practitioners is leading to increased cost of care through increased use of resources and unnecessary referrals. A medical speciality is a branch of medical practice that is focused on a defined group of patients, diseases, skills or philosophy, e.g. children (paediatrics), cancer (oncology), laboratory medicine (pathology) or primary care. After completing medical school, physicians or surgeons usually further their medical education in a specific specialty of medicine by completing a multiple year residency to become a medical specialist. Medical education in Australia includes the educational activities involved in the initial and ongoing training of Medical Practitioners. In Australia, medical education begins in Medical School; upon graduation it is followed by a period of pre-vocational training including Internship and Residency; thereafter, enrolment into a specialist-vocational training program as a Registrar eventually leads to fellowship qualification and recognition as a fully qualified Specialist Medical Practitioner. Medical education in Australia is facilitated by Medical Schools and the Medical Specialty Colleges, and is regulated by the Australian Medical Council (AMC) and Australian Health Practitioners Regulatory Agency (AHPRA) of which includes the Medical Board of Australia where medical practitioners are registered nationally. The American Board of Hospital Medicine (ABHM) is a Member Board of the American Board of Physician Specialties (ABPS), the nation's third largest physician multispecialty certifying organization and was founded in 2009. The ABHM is North America's first and only board of certification devoted exclusively to hospital medicine founded by hospitalists and governed by hospitalists. The Society of Hospital Medicine (SHM) is an American membership society for hospitalists, that is, physicians and other caregivers who practice the specialty of hospital medicine. Post-Hospitalist Medicine is the discipline concerned with the medical care of post-acute patients. Physicians whose primary professional focus is post-hospital care are post-hospitalists. Typical community PCPs and most other NP/PA/extender models do not have the time or ability to effectively monitor patient care when the patient is in a post-acute facility. As a result, increased hospitalizations, readmissions and unnecessary ER utilization occur frequently, increasing overall health care costs. When patients become ill with an urgent or non-emergency problem, most traditional care models typically direct the patient to the ER, utilizing the ER as an outpatient clinic rather than going to the post-acute facility, examining and treating the patient on-site. An obstetric hospitalist is an obstetrician and gynaecologist physician who is either employed by a hospital or a physician practice and whose duties include providing care for laboring patients and managing obstetric emergencies. Some obstetrics hospitalists also have responsibilities including resident and medical student teaching; providing backup support for family practitioners and nurse midwives, assisting private physicians with surgery, assuming care for ob-gyn patients unassigned to a physician and providing vacation coverage for the private practicing physician. ↑ In 1949, Fildes' painting The Doctor was used by the American Medical Association in a campaign against a proposal for nationalized medical care put forth by President Harry S. Truman. The image was used in posters and brochures along with the slogan, "Keep Politics Out of this Picture" implying that involvement of the government in medical care would negatively affect the quality of care. 65,000 Posters of The Doctor were displayed, which helped to raise public skepticism for the nationalized healthcare campaign. ↑ Roncalli Amici R (2001). "The history of Italian parasitology" (PDF). Veterinary Parasitology. 98 (1–3): 3–10. doi:10.1016/S0304-4017(01)00420-4. PMID 11516576. Archived from the original (PDF) on 23 October 2013. 1 2 H.W. Fowler (1994). A Dictionary of Modern English Usage (Wordsworth Collection). NTC/Contemporary Publishing Company. ISBN 1-85326-318-4. 1 2 3 Brown, Lesley (2002). The New shorter Oxford English dictionary on historical principles. Oxford [Eng. ]: Clarendon. ISBN 0-19-861271-0. ↑ "University of Cambridge: History of the School of Clinical Medicine". University of Cambridge. Archived from the original on 9 December 2012. Retrieved 5 February 2008. ↑ Wachter R; Goldman L (1996). "The emerging role of "hospitalists" in the American health care system". N Engl J Med. 335 (7): 514–7. doi:10.1056/NEJM199608153350713. PMID 8672160. ↑ "The Royal Australasian College of Physicians: What are Physicians?". Royal Australasian College of Physicians. Archived from the original on 6 March 2008. Retrieved 5 February 2008. ↑ Medline Plus (2012). "Doctor of Osteopathic Medicine". U.S. National Library of Medicine of National Institutes of Health. Retrieved 22 December 2012. ↑ "About Podiatry". Apma.org. Retrieved 19 September 2011. ↑ "Podiatrist". Office of Science Education. Archived from the original on 29 April 2013. Retrieved 22 December 2012. ↑ Bernstein, Lenny (3 March 2015). "U.S. faces 90,000 doctor shortage by 2025, medical school association warns". The Washington Post. Retrieved 27 October 2016. 1 2 A. Gaines, R.A. Hahn, ed. (1985). "Chapter 1: Introduction (by editors)". Physicians of western medicine. Dordrecht (Netherlands): D. Reidel. pp. 3–22. ISBN 90-277-1790-7. 1 2 Good, Byron J (1994). "Chapter (pbk)3". Medicine, rationality, and experience: an anthropological perspective (based on the Lewis Henry Morgan Lectures, at the University of Rochester, NY, in March 1990). Cambridge, UK: Cambridge University Press. pp. 65, 65–87. ISBN 0-521-42576-X. ↑ Laing, R.D. (1971). The politics of the family and other essays. London: Tavistock Publications. ↑ Osler, Sir William (1902). "Chauvanism in medicine: address to the Canadian Medical Association, Montreal (17 September 1902)". The Montreal Medical Journal. XXXI. ↑ Partridge, Eric (1966). Origins: a short etymological dictionary of modern English. New York: Macmillan. ISBN 0-02-594840-7. ↑ Galdston, Iago, ed. (1963). "Part 1: Medicine and primitive man (five chapters); Part 2: Medical man and medicine man in three North American Indian societies (three chapters)". Man's image in medicine and anthropology: Monograph IV, Institute of social and historical medicine, New York Academy of Medicine. New York: International Universities Press. pp. 43–334. ↑ Grossinger, Richard (1982) . "Planet medicine: from stone age shamanism to post-industrial healing" (Revised ed.). Berkeley, CA, US: North Atlantic Books: 116–131. ISBN 978-1-55643-369-6. ↑ "Complementary and Alternative Medicine – U.S. National Library of Medicine Collection Development Manual" . Retrieved 31 March 2008. ↑ Galdston, Iago, ed. (1963). "Part V: Culture and the practice of modern medicine (two chapters)". Man's image in medicine and anthropology: Monograph IV, Institute of social and historical medicine, New York Academy of Medicine. New York: International Universities Press. pp. 477–520. ↑ Joralemon, DonaldJ (1999). "chapter 1: What's so cultural about disease? (pbk)". Exploring medical anthropology. Needham Heights, MA, US: Allyn and Bacon. pp. 1–15. ISBN 0-205-27006-9. ↑ Appel JM (2009). "Smoke and mirrors: one case for ethical obligations of the physician as public role model". Camb Q Healthc Ethics. 18 (1): 95–100. doi:10.1017/S0963180108090142. PMID 19149049. 1 2 3 Frank E; Biola H; Burnett CA (October 2000). "Mortality rates and causes among U.S. physicians". Am J Prev Med. 19 (3): 155–9. doi:10.1016/S0749-3797(00)00201-4. PMID 11020591. ↑ Schneck SA (December 1998). "'Doctoring' doctors and their families". JAMA. 280 (23): 2039–42. doi:10.1001/jama.280.23.2039. PMID 9863860. ↑ Schmidt, Sarah (30 September 2017). "Kommt ein Doktor zum Arzt ..." Sueddeutsche.de. Retrieved 30 September 2017. ↑ Kramer, Bernd (28 September 2015). "Medizin-Promotionen: Akademische Ramschware". Spiegel.de. Retrieved 30 September 2017. ↑ "AMA Links to state medical boards" . Retrieved 1 March 2008. ↑ Lim MK (February 2004). "Quest for quality care and patient safety: the case of Singapore". Qual Saf Health Care. 13 (1): 71–5. doi:10.1136/qshc.2002.004994. PMC 1758053 . PMID 14757804. ↑ Wachter RM (2010). "Patient safety at ten: unmistakable progress, troubling gaps". Health Aff (Millwood). 29 (1): 165–73. doi:10.1377/hlthaff.2009.0785. PMID 19952010. ↑ Leape LL; Fromson JA (January 2006). "Problem doctors: is there a system-level solution?". Ann. Intern. Med. 144 (2): 107–15. doi:10.7326/0003-4819-144-2-200601170-00008. PMID 16418410. ↑ "Medical Board Licensing Service for Physicians seeking an Expedited Medical License with any of the 50 State Medical Boards". MedLicense.com. Retrieved 19 September 2011. ↑ Suñol R; Garel P; Jacquerye A (February 2009). "Cross-border care and healthcare quality improvement in Europe: the MARQuIS research project". Qual Saf Health Care. 18 Suppl 1: i3–7. doi:10.1136/qshc.2008.029678. PMC 2629851 . PMID 19188459. ↑ "Title 21 CFR - PART 1300 - DEFINITIONS". Deadiversion.usdoj.gov. Retrieved 30 September 2017.